Clear skies. Low 57F. Winds NNW at 5 to 10 mph. The daughter of a Mohawk mother and French father in 1759 Montreal, Catherine Duval finds it is easier to remain neutral in a world that is tearing itself apart. 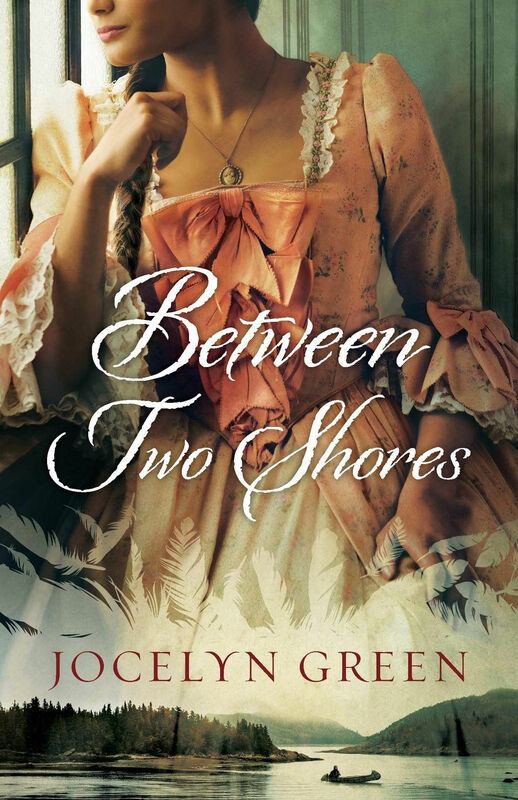 Catherine is pulled into the fray against her wishes when her British ex-fiancé, Samuel Crane, is taken prisoner. Samuel asks her to help him escape, claiming he has information that could help end the war. Peace appeals to Catherine, but helping the man who broke her heart does not. Against her better judgment she helps him flee by river. Their time together rekindles feelings she thought long buried. She’s risked becoming a traitor by choosing a side, but will the decision cost her even more? The good news is that Wyoming game warden Joe Pickett has his job back. The bad news is that he’s come to learn that a drone is killing wildlife — and the drone belongs to a mysterious and wealthy man whose son is dating Joe’s daughter, Lucy. When Joe tries to lay down the rules for the drone operator, he’s asked by the FBI and the Department of Justice to stand down. Meanwhile, bodies are piling up in and around Joe’s district. 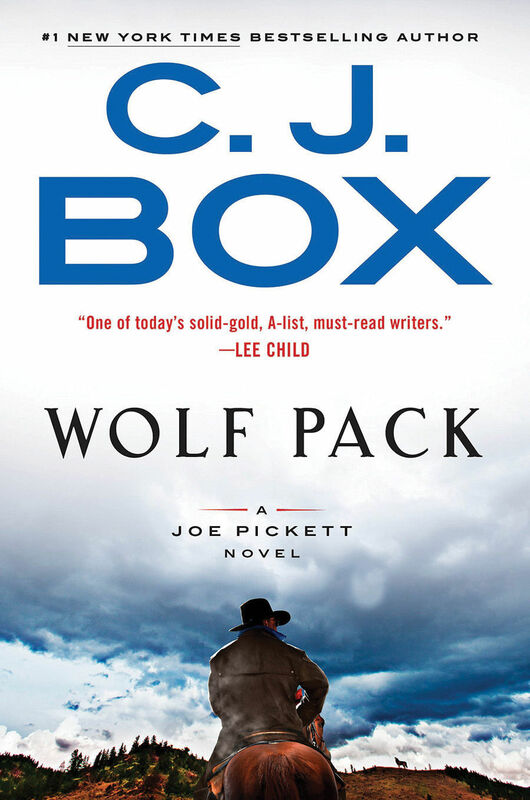 He begins to fear that a pack of four vicious killers working on behalf of the Sinaloa cartel known as the Wolf Pack has arrived. Joe finds himself in the most violent and dangerous predicament he’s ever faced. Elise Sontag is a typical Iowa 14-year-old in 1943 — aware of the war but distanced from its reach. Then her father, a legal U.S. resident for nearly two decades, is arrested on suspicion of being a Nazi sympathizer. The family is sent to an internment camp in Texas, where, behind the barbed wire Elise feels stripped of everything beloved and familiar. When the Sontag family is exchanged for American prisoners behind enemy lines in Germany, Elise will face head-on the person the war desires to make of her. In that devastating crucible she must discover if she has the will to rise above prejudice and hatred and re-claim her own destiny. Monte Carlo’s casinos have become the target of a sophisticated and brutal team of professional gamblers; a casino dealer has been beaten to death; the son of a German heiress has been kidnapped. Who better to foil a daringly brilliant plot than Simon Riske, freelance industrial spy? Riske — part Bond, part Reacher — knows Monte Carlo well: it’s where he was once a thrill-seeking thief himself. At least until he was double-crossed, served his time, and graduated as an investment genius from the Sorbonne. Riske will do what he does best: get in over his head, throw himself into danger, and outthink and outmaneuver villains of every stripe. Joe Leaphorn may have retired from the Tribal Police, but he finds himself in a perplexing case. Joe’s been hired to find a missing biil, a traditional dress that had been donated to the Navajo Nation. His investigation takes a sinister turn when the leading suspect dies under mysterious circumstances. Meanwhile, former colleague Jim Chee and Officer Bernie Manuelito are working a burglary case and find a body that thrusts them into a turf battle because the murder involves the FBI. As Leaphorn, Chee and Bernie draw closer to solving these crimes, their parallel investigations begin to merge … which may lead to a new chapter in Bernie’s life. On May 25, 1961, JFK made an astonishing announcement: his goal of putting a man on the moon by the end of the decade. As the 50th anniversary of the first lunar landing approaches, Douglas Brinkley returns to the 1960s to recreate one of the most ambitious achievements in the history of humankind. Drawing on new primary source material and major interviews with many of the surviving figures, “American Moonshot” brings together the extraordinary political, culture and scientific factors that fueled the birth and development of NASA and the Mercury, Gemini and Apollo projects. Eric O’Neill was only 26 when he was tapped for a one-on-one undercover investigation of the FBI’s top target, a man suspected of spying for the Russians for nearly two decades, giving up nuclear secrets, and betraying U.S. assets. With zero training in face-to-face investigation, O’Neill found himself in a high-security office in the new Information Assurance Section, tasked officially with helping the FBI secure its outdated computer system against hackers and spies — and unofficially with collecting evidence against his new boss, Robert Hanssen. Too intimidated to cook Chinese food at home but crave those punchy flavors? “Double Awesome Chinese Food” is full of recipes that marry traditional Asian ingredients with comforting American classics and seasonal ingredients. The three fun-loving Chinese-American siblings behind the acclaimed restaurant Mei Mei take the fear factor out of cooking this complex cuisine, infusing it with creativity, playfulness and ease. Throw a hands-on dumpling-making party and let your friends decide whether to serve them chewy and pan-seared or crackly and deep-fried. This book is your ticket to making the Chinese food any night of the week. Meredith May recalls the first time a honeybee crawled on her arm. She was 5 years old, her parents had recently split, and suddenly she found herself in the care of her grandfather, an eccentric beekeeper who made honey in a rusty old military bus in the yard. It was during this pivotal time in May’s childhood that she learned to take care of herself, forged an unbreakable bond with her grandfather, and opened her eyes to the magic and wisdom of nature. Part memoir, part beekeeping odyssey, “The Honey Bus” is a story about how a tiny, little-understood insect could save a life. Dave Barry shows how to age gracefully, taking cues from his beloved and highly intelligent dog, Lucy. Faced with the obstacles and challenges of life after middle age, Barry turns to his best dog, Lucy, to learn how to live his best life. Dave navigates his later years with good humor and grace. Lucy teaches Dave how to live in the present, how to let go of daily grievances, and how to feel good in your own skin. The lessons are drawn from Dave’s routine humiliations and stream-of-consciousness accounts of the absurdities of daily life, which will leave you heaving with laughter and recognition. Barbara Frank is the branch manager at the South Waco Library of the Waco-McLennan County Public Library System. In her spare time, she can’t pass up a chance to indulge in a good audio book, preferably a mystery.